Curriculum development is an important part of the education process, ensuring that classes at all levels, from early childhood to post-secondary, are best designed to help students be successful in learning the material and gaining the skills needed to continue to advance. With the right background in developing courses and materials, professionals in the field have opportunities to create everything from textbooks to tests to lectures. A number of programs are created in order to help children between birth through the age of six gain the skills that will be needed to continue on in school and be successful. Curriculum developers design each part of these programs. Curriculum at this level of education includes such activities as developing fine motor skills, language acquisition, and literacy skills. Curriculum development teams for high school, middle school, and elementary schools focus on similar benchmarks as early childhood, with additional development of skills in other academic areas such as mathematics, science, and humanities. Course developers will identify textbooks, create course objectives for each section and class, and sometimes will develop language for a standardized syllabus to use across a specific school or a school district to ensure quality and consistency. Curriculum developers at this level of education are also likely to be a part of the test writing process at a standardized level. 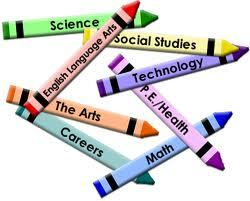 State and college entrance examinations are developed using existing standards for secondary and elementary education. Curriculum developers craft questions on these tests to ensure that students are gaining and have mastered concepts and techniques. In many universities and colleges, courses, particularly at the beginning level of an academic discipline, are designed to be standardized in every class. This helps to ensure that every student is learning the same material and mastering the same skills to move forward. In addition, the popularity of online courses is continuing to grow, allowing students in all situations to complete courses and degree programs. Curriculum developers in these programs design courses completely for every instructor to implement. This includes creating a syllabus, lesson presentations, lecture materials, assignments, and more. Either while in school or after a degree has been completed, many future professionals and professionals already in the workforce look for certification and other training programs that allow completion of program that advances specific skill sets. These programs also require design, and curriculum developers are responsible for creating the information to study as well as the certification tests. The requirements to become a curriculum developer vary greatly by subject, field, and purpose. One requirement that is most likely needed is to be considered an expert in the discipline in which the curriculum is being developed. Work experience and an advanced graduate degree are often required. Additionally, certification or a degree in curriculum development is preferred or sometimes necessary to qualify for positions. Additional information can be found on the website for the Association of Supervision and Curriculum Development. Designing courses requires skills in developing material that matches the objectives of a class. Advanced knowledge and experience of an academic subject or professional area of skill are beneficial in beginning to create courses and work in the field of curriculum development.